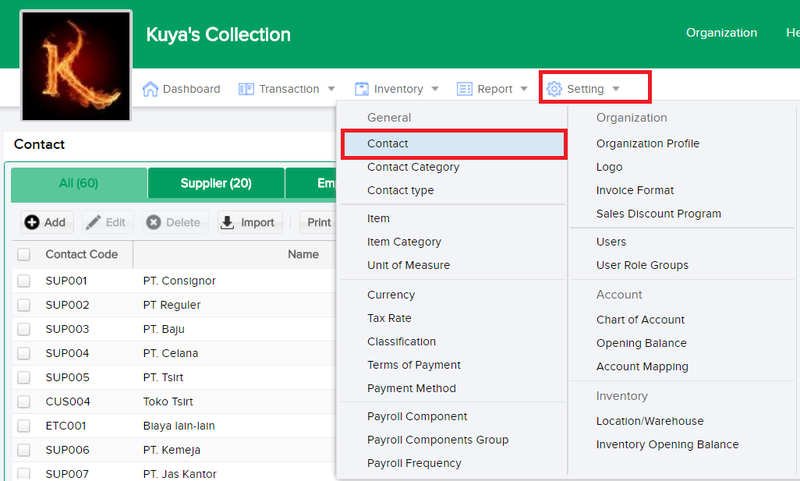 The Contact feature from Organisational Settings allows you to manage the contacts that you have in your business database. To start using this feature, click on the Setting tab then choose Contact in the drop down menu under the general category. The table below shows all the contact information ranging from supplier, customer, and staff. New contacts can be added at anytime and in accordance with existing contact groups. Click Add (+) to input additional contacts. You will then see the following contact form.